David Textiles, Inc. was founded in 1985 on the philosophy of providing quality fabrics and products. We are a textile converter and manufacturer offering a wide range of licensed and exclusive fabrics, craft and quilt kits and more! 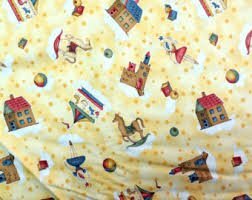 We are a leader in the design of fleece prints, cottons, flannels, and a variety of other base cloths. David Textiles continues to expand its product lines with new and innovative merchandise and licenses. Our products are sold throughout the United States and internationally through our in house customer service staff, direct sales force, and distributor network. The company’s City of Commerce, California facility has a state of the art in stock warehouse, in-house design studio, and showroom. Our talented staff of artists have collectively put together a fresh and fun line for you.